Wader Quest: Nad has gone missing; Grey Plover update. Nad has gone missing; Grey Plover update. Euphoria doesn’t last long! Our champagne glasses were barely dry when we stopped receiving new signals from Nad’s satellite transmitter. 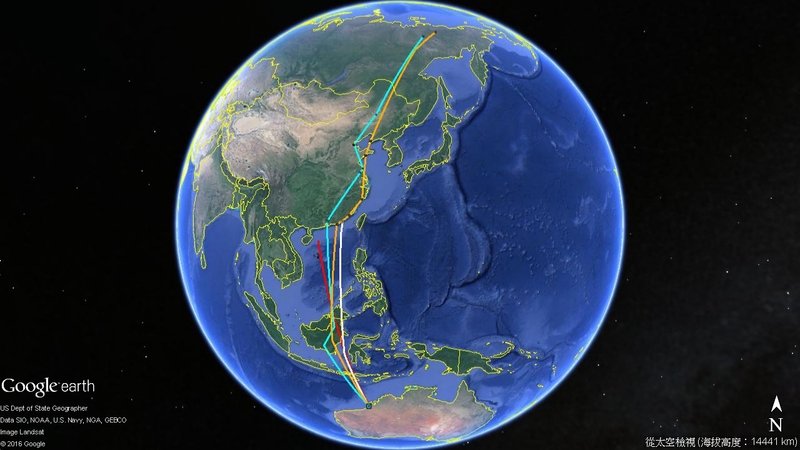 We don’t know whether some harm has come to the bird on the breeding grounds or whether it is another case of the mysterious cessation of a satellite transmitter soon after the completion of a long-leg of the migratory journey. It is even possible that mating of the Grey Plover on the breeding grounds has led to some displacement of the transmitter…..
Never the less, Nad has already brought us lots of valuable information about the migration journey of its kind and we can well say that it is a “mission completed”. Thank you Nad! 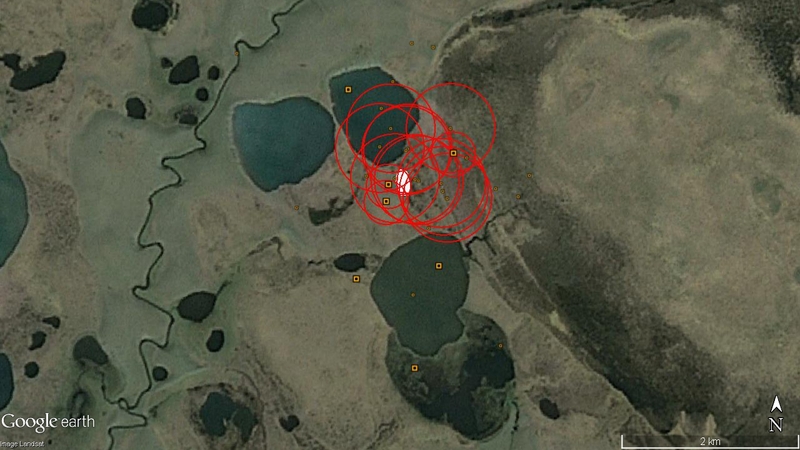 While Charlie’s transmitter continues to send back high accuracy signal, as the quantity of data increases through time, we can eventually pin-point the exact nesting location. In Fig 1, the red circles indicate the accuracy of each signal, the smaller the circle, the higher accuracy of the signal. After overlapping the “potential area” covered by the signals, we can locate the nesting area (shaded in white). In the next update, we will bring you a summary reviewing the journey of both Nad and Charlie. Stay tuned!